Jonathan joined Watsi on December 9th, 2014. 405 other people also joined Watsi on that day! Jonathan's most recent donation traveled 1,900 miles to support Witzer, a student from Haiti, to fund prep for cardiac surgery. Jonathan has funded healthcare for 35 patients in 11 countries. Kenson is a 12-year-old boy who lives in the mountains of central Haiti with a large extended family. His family works together to farm crops and raise animals. He enjoys going to school and listening to soccer games on the radio. Kenson was born with patent ductus arteriosus, a cardiac condition in which a hole in the heart that normally closes shortly after birth remains open. Oxygen-rich blood from the aorta mixes with oxygen-poor blood from the pulmonary artery, placing strain on Kenson's heart and leaving him short of breath. He was also born with an aortic valve that is too narrow, further complicating his heart's ability to pump blood to his body. Have a Heart Cayman is subsidizing Kenson's heart surgery, however Kenson requires overseas transport to our medical partner's care center, Health City Cayman Islands. 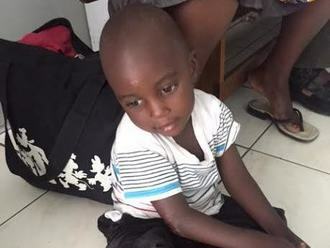 Our medical partner, Haiti Cardiac Alliance, is therefore requesting $1,500 to cover the cost of Kenson's transportation to the site of surgery, cardiac examinations, and medications. The procedure is scheduled to take place on July 11 and, once completed, will greatly improve Kenson's quality of life. "I am excited for my heart to be fixed so I can do more things without getting tired," shares Kenson. Chastine is a two-month-old baby boy from Kenya. Chastine's mother is a stay-at-home mom and his father works in construction. Shortly after birth, Chastine was diagnosed with hydrocephalus, a condition in which excess fluid builds up in the brain, causing the skull to swell. His condition has left Chastine irritable and tense. Without treatment, Chastine is at risk of permanent brain damage, loss of vision, and potentially death. 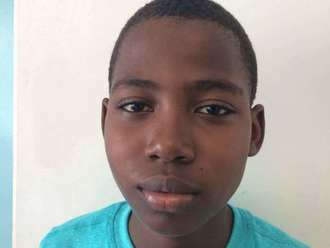 Seeking treatment through our medical partner, African Mission Healthcare Foundation, Chastine is scheduled to undergo brain surgery to drain the excess fluid from his head on June 12. His family is requesting $685 to cover the cost of his procedure and care. Chastine's father said, “More than ever, I am looking forward to see my son healthy and thriving just like his elder brother." An is a 30-year-old Cambodian construction worker who has five brothers and two sisters. In his free time, An loves to watch football or catch up on the latest boxing match. In November 2016, An punctured his right foot by stepping on a nail. After traveling for four hours with his mother, he received Watsi-funded [treatment](https://watsi.org/profile/24bd253bd24e-an) for his injured foot in late April through our medical partner, Children's Surgical Centre (CSC). An still experiences mild pain in his foot and has returned to CSC to further treat his wound. An is scheduled to undergo a skin flap surgery on May 22 to fully heal his foot, and hopes to soon feel comfortable once again. The $450 amount will cover the total cost of An's procedure. Elias is a two-year-old boy who lives with his parents and older brother in Tanzania. His father is a farmer, and his mother works as a seamstress. In his free time, Elias loves playing with other children. His mother hopes that he will become a doctor when he grows up. Elias was recently diagnosed with a post-burn contracture of the right elbow. A contracture is a shortening or hardening of a muscle or joint, which can often lead to deformity and rigidity. In order to restore function to Elias's elbow, our medical partner, Mission Restore, has scheduled a contracture release and skin graft for March 31. Mission Restore is requesting $1,469 to fund the treatment. Anna is a 56-year-old widow from Kenya. She has one son who is in high school. They live together in a relative's home. Anna supports her family by washing clothes and fetching water. About one year ago, Anna noticed that her hearing was worsening. Referred to our medical partner's care center, AIC Kijabe Hospital, Anna sought treatment. At AIC Kijabe Hospital, she was tested by an audiologist, who recommended she get hearing aids. Due to financial hardship, Anna cannot afford treatment. Our medical partner, African Mission Healthcare Foundation, is asking for $712 to cover the cost of the hearing aids. She will receive them on March 29. Anna is looking forward to being able to hear again! Thorn is a 69-year-old man who is married with four sons and two daughters. Thorn likes to read books on Buddhism and plant vegetables around his home in his spare time. On September 7, 2016, Thorn was in a motorcycle vehicle accident that caused a fracture in his left femur. 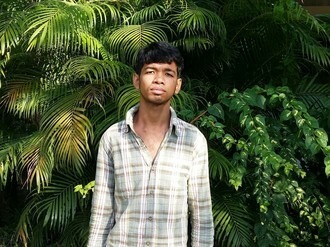 He went to a Khmer tradition healer for treatment, but his symptoms did not improve. It is difficult for Thorn to walk, and he is in pain. Thorn learned about our medical partner, Children's Surgical Centre (CSC), from his brother. He traveled for four hours with his daughter to reach CSC for treatment. On February 20, surgeons at CSC will perform an open reduction internal fixation procedure in Thorn's left leg to allow him to walk easily again. He needs help to pay for this $411 surgery. 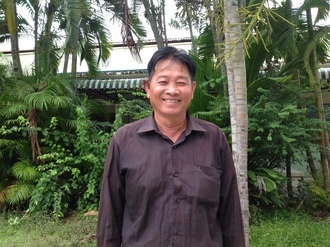 Tha is a 55-year-old farmer from Cambodia. He is married, with three sons and two daughters. He likes to listen to the news on the radio and look after his grandson. About ten years ago, Tha began to develop a tumor on his right ear. At its current size, the growth measures five centimeters by five centimeters. It causes him great pain and is growing quickly. Tha and his son traveled five hours to reach our medical partner, Children's Surgical Centre, at their care center, Kien Khleang National Rehabilitation Centre. He is scheduled to receive treatment on January 20. Our medical partner is requesting $224 to cover the cost of the operation to remove the growth. After surgery, Tha looks forward to returning home pain-free. Gif is a 16-year-old girl from rural Uganda. She lives with her mother and siblings, and they earn their living through farm labor. They own a small piece of land. Gift helps her mother in their garden. During her free time, she enjoys visiting her friends and relatives. She hopes to learn to weave mats to sell in the market. Gift visited our medical partner when she was expecting her first child. Due to her age, she was considered a risky pregnancy. Her doctors suggested that she undergo an elective C-section. On December 6, Gift checked into the hospital to await delivery. Our medical partner, The Kellermann Foundation, is requesting $241 in funding. Gift is co-paying $4. The money raised by Watsi donors will cover all medical costs, as well as prenatal and postnatal visits and three nights in the hospital. “I thank the donors for the support they are giving my daughter to have a safe birth," shares Gift's mother. "I pray for blessings upon the donors and all they do.” Gift is looking forward to raising her baby. Her ultimate dream is to start a small business that will support her family. Wai is a 45-year-old Burmese woman. She has lived in Thailand with her husband and son for many years. They moved to Thailand seeking better work opportunities after a flood destroyed the rice crops they grew in Burma. Now, Wai picks corn as a day laborer. She helps to support a grandchild who was born five months ago. Recently, however, Wai has been unable to work due to uncomfortable symptoms. She feels pain when she moves or walks, and she experiences frequent dizziness and headaches. Finally, Wai visited our medical partner’s hospital, Mae Sot General Hospital. On November 23, she will undergo a hysterectomy. This procedure should relieve her of her painful symptoms. Now, Wai needs help to fund this $1,500 treatment. “If I were to seek treatment inside Burma,” says Wai, “I would have to borrow money from a money lender, and my family would be stressed or have to sell land.” In her free time, Wai enjoys watching movies and looking after her grandchild. After recovery, she plans to continue working as day laborer to earn money for the family. Meet Pheng Ly, a 68-year-old man from Cambodia. Pheng Ly is married with one son, three daughters, and seven grandchildren. He enjoys watching sports and news on TV. One year ago, Pheng Ly developed a mature cataract in each eye. A cataract forms when a thin, cloudy layer covers the eye’s lens. 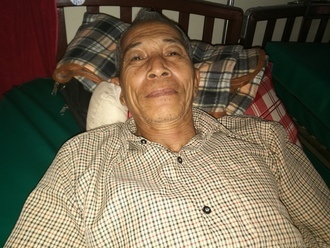 Pheng Ly's cataracts cause him blurred vision, discharge, tearing, and a fear of bright lights. It is difficult for him to see clearly, do work, or go anywhere outside. After learning about our medical partner, Children's Surgical Centre, Pheng Ly and his son traveled four hours to visit their clinic. They learned that a simple surgical procedure may restore Pheng Ly's sight. On October 19, 2016, Pheng Ly underwent cataract surgery, during which his old lenses were removed and replaced with sheer artificial implants. Now, Pheng Ly needs our help to fund this $292 treatment. "I hope my eyes can see everything clearly again,” shares Pheng Ly, “Then, I can go anywhere outside."